NISSAN X-TRAIL T30 (2000-2006). 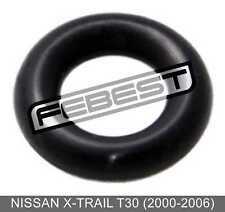 NISSAN X-TRAIL Fuel Injector Seal Ring O-Ring. NISSAN OEMs Vehicles listed above may have variations which include country of origin, build month/year and driveline options. BMW 3 E90 (2004-2012). BMW 3 Fuel Injector Seal Ring O-Ring. Always check the BMW OEM part number listed above to ensure the part will fit. Vehicles listed above may have variations which include country of origin, build month/year and driveline options. NISSAN QASHQAI J10E (2006-2013). 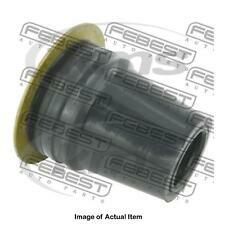 NISSAN QASHQAI Fuel Injector Seal Ring O-Ring. Need help choosing the right part for your Nissan Qashqai?. NISSAN OEMs Always check the NISSAN OEM part number listed above to ensure the part will fit. Mazda 8574-13-252. Mazda 121 I (DA) 1.1 1.1 L / 1139 cc 1987.10 - 1990.10 42 Kw / 57 HP. Mazda 121 I (DA) 1.3 1.3 L / 1324 cc 1987.11 - 1990.10 48 Kw / 65 HP. Mazda 121 I (DA) 1.3 1.3 L / 1324 cc 1987.10 - 1990.11 44 Kw / 60 HP. AUDI TT 8N3 (1998-2006). 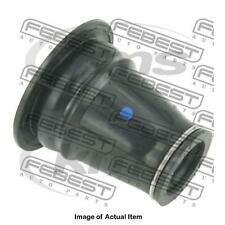 AUDI TT Fuel Injector Seal Ring O-Ring. Need help choosing the right part for your Audi Tt?. AUDI OEMs Always check the AUDI OEM part number listed above to ensure the part will fit. TOYOTA TOWNACE CR5# 4WD (1996-2007). TOYOTA TOWNACE Fuel Injector Seal Ring O-Ring. Need help choosing the right part for your Toyota Townace?. TOYOTA OEMs Vehicles listed above may have variations which include country of origin, build month/year and driveline options. TOYOTA MR2 SW20 (1990-1995). TOYOTA MR2 Fuel Injector Seal Ring O-Ring. Need help choosing the right part for your Toyota Mr2?. TOYOTA OEMs Vehicles listed above may have variations which include country of origin, build month/year and driveline options. MITSUBISHI LANCER EVOLUTION CZ4A (2007-Now). MITSUBISHI LANCER Fuel Injector Seal Ring O-Ring. Need help choosing the right part for your Mitsubishi Lancer?. MITSUBISHI OEMs Always check the MITSUBISHI OEM part number listed above to ensure the part will fit. LEXUS LX470 UZJ100 (1998-2007). LEXUS LX470 Fuel Injector Seal Ring O-Ring. Need help choosing the right part for your Lexus Lx470?. LEXUS OEMs Always check the LEXUS OEM part number listed above to ensure the part will fit. NISSAN PATROL GR Y61 (1997-2010). NISSAN PATROL Fuel Injector Seal Ring O-Ring. Need help choosing the right part for your Nissan Patrol?. NISSAN OEMs Always check the NISSAN OEM part number listed above to ensure the part will fit. MAZDA MX-5 Fuel Injector Seal Ring O-Ring. MAZDA MX-5 NC (2005-2015). MAZDA OEMs Always check the MAZDA OEM part number listed above to ensure the part will fit. Vehicles listed above may have variations which include country of origin, build month/year and driveline options. TOYOTA SPRINTER AE11#,CE11#,EE111 1995.05-2000.08 [JP]. TOYOTA SPRINTER AE8#. SCION XB NCP31 2003.04-2006.12 [US]. TOYOTA CAMRY ACV4# 2006.01-2011.08 [JP]. SCION XB AZE151 2007.03- [US]. TOYOTA CAMRY ACV30,31,MCV30 2002.03-2006.11 [GR]. TOYOTA SUPRA JZA80 (1993-2002). TOYOTA SUPRA Fuel Injector Seal Ring O-Ring. Need help choosing the right part for your Toyota Supra?. TOYOTA OEMs Vehicles listed above may have variations which include country of origin, build month/year and driveline options. NISSAN MICRA K11 (1992-2002). NISSAN MICRA Fuel Injector Seal Ring O-Ring. Need help choosing the right part for your Nissan Micra?. NISSAN OEMs Always check the NISSAN OEM part number listed above to ensure the part will fit. NISSAN SERENA C25 (2005-2010). NISSAN SERENA Fuel Injector Seal Ring O-Ring. Need help choosing the right part for your Nissan Serena?. NISSAN OEMs Always check the NISSAN OEM part number listed above to ensure the part will fit. TOYOTA SOARER JZZ3# (1991-2000). TOYOTA SOARER Cylinder Head Spark Plug Guide. Need help choosing the right part for your Toyota Soarer?. Vehicles listed above may have variations which include country of origin, build month/year and driveline options. OPEL INSIGNIA Fuel Injector Seal Ring O-Ring. OPEL INSIGNIA (2009-Now). Need help choosing the right part for your Opel Insignia?. OPEL OEMs Always check the OPEL OEM part number listed above to ensure the part will fit. NISSAN OEMs Always check the NISSAN OEM part number listed above to ensure the part will fit. Vehicles listed above may have variations which include country of origin, build month/year and driveline options. NISSAN ATLAS F23 (1992-2007). NISSAN ATLAS Fuel Injector Seal Ring O-Ring. Need help choosing the right part for your Nissan Atlas?. NISSAN OEMs Always check the NISSAN OEM part number listed above to ensure the part will fit. LEXUS IS200 JCE10 (1999-2005). LEXUS IS200 Fuel Injector Seal Ring O-Ring. Need help choosing the right part for your Lexus Is200?. LEXUS OEMs Always check the LEXUS OEM part number listed above to ensure the part will fit. TOYOTA HILUX SURF KDN185 (1995-2002). TOYOTA HILUX Cylinder Head Spark Plug Guide. Need help choosing the right part for your Toyota Hilux?. Vehicles listed above may have variations which include country of origin, build month/year and driveline options. TOYOTA HILUX KDN165 (1999-2005). TOYOTA HILUX Cylinder Head Spark Plug Guide. Need help choosing the right part for your Toyota Hilux?. Vehicles listed above may have variations which include country of origin, build month/year and driveline options. TOYOTA HILUX SURF KDN215 (2002-2009). TOYOTA HILUX Cylinder Head Spark Plug Guide. Need help choosing the right part for your Toyota Hilux?. Vehicles listed above may have variations which include country of origin, build month/year and driveline options. TOYOTA LAND CRUISER PRADO 120 RZJ12# (2002-2009). TOYOTA LAND CRUISER PRADO Cylinder Head Spark Plug Guide. Need help choosing the right part for your Toyota Land Cruiser Prado?. Vehicles listed above may have variations which include country of origin, build month/year and driveline options. TOYOTA LAND CRUISER PRADO 120 KDJ12# (2002-2009). TOYOTA LAND CRUISER PRADO Cylinder Head Spark Plug Guide. Need help choosing the right part for your Toyota Land Cruiser Prado?. Vehicles listed above may have variations which include country of origin, build month/year and driveline options. TOYOTA TERCEL NL50 (1994-1999). TOYOTA TERCEL Cylinder Head Spark Plug Guide. Need help choosing the right part for your Toyota Tercel?. Vehicles listed above may have variations which include country of origin, build month/year and driveline options. TOYOTA HILUX SURF RZN18# (1995-2002). TOYOTA HILUX Cylinder Head Spark Plug Guide. Need help choosing the right part for your Toyota Hilux?. Vehicles listed above may have variations which include country of origin, build month/year and driveline options. TOYOTA HILUX SURF GRN21# (2002-2009). TOYOTA HILUX Cylinder Head Spark Plug Guide. Need help choosing the right part for your Toyota Hilux?. Vehicles listed above may have variations which include country of origin, build month/year and driveline options. TOYOTA HILUX SURF TRN21# (2002-2009). TOYOTA HILUX Cylinder Head Spark Plug Guide. Need help choosing the right part for your Toyota Hilux?. Vehicles listed above may have variations which include country of origin, build month/year and driveline options. TOYOTA HILUX SURF VZN18# (1995-2002). TOYOTA HILUX Cylinder Head Spark Plug Guide. Need help choosing the right part for your Toyota Hilux?. Vehicles listed above may have variations which include country of origin, build month/year and driveline options. TOYOTA HILUX SURF VZN21# (2002-2009). TOYOTA HILUX Cylinder Head Spark Plug Guide. Need help choosing the right part for your Toyota Hilux?. Vehicles listed above may have variations which include country of origin, build month/year and driveline options. TOYOTA LAND CRUISER PRADO 120 GRJ12# (2002-2009). TOYOTA LAND CRUISER PRADO Cylinder Head Spark Plug Guide. Need help choosing the right part for your Toyota Land Cruiser Prado?. Vehicles listed above may have variations which include country of origin, build month/year and driveline options. TOYOTA LAND CRUISER PRADO 120 VZJ12# (2002-2009). TOYOTA LAND CRUISER PRADO Cylinder Head Spark Plug Guide. Need help choosing the right part for your Toyota Land Cruiser Prado?. Vehicles listed above may have variations which include country of origin, build month/year and driveline options. TOYOTA LAND CRUISER PRADO Cylinder Head Spark Plug Guide. TOYOTA LAND CRUISER PRADO 90 (1996-2002). Need help choosing the right part for your Toyota Land Cruiser Prado?. Vehicles listed above may have variations which include country of origin, build month/year and driveline options. NISSAN GRAND LIVINA VT L10H (2010-Now). NISSAN GRAND LIVINA Fuel Injector Seal Ring O-Ring. Need help choosing the right part for your Nissan Grand Livina?. NISSAN OEMs Always check the NISSAN OEM part number listed above to ensure the part will fit. TOYOTA CROWN UZS145 4WD (1991-1995). TOYOTA CROWN Fuel Injector Seal Ring O-Ring. Need help choosing the right part for your Toyota Crown?. TOYOTA OEMs Always check the TOYOTA OEM part number listed above to ensure the part will fit. TOYOTA CARINA E ST191 (1992-1997). TOYOTA CARINA Fuel Injector Seal Ring O-Ring. Need help choosing the right part for your Toyota Carina?. TOYOTA OEMs Vehicles listed above may have variations which include country of origin, build month/year and driveline options. TOYOTA SOARER UZZ3# (1991-2000). TOYOTA SOARER Cylinder Head Spark Plug Guide. Need help choosing the right part for your Toyota Soarer?. Vehicles listed above may have variations which include country of origin, build month/year and driveline options. TOYOTA SERA EXY10 (1990-1995). TOYOTA SERA Fuel Injector Seal Ring O-Ring. Need help choosing the right part for your Toyota Sera?. TOYOTA OEMs Vehicles listed above may have variations which include country of origin, build month/year and driveline options. LAND ROVER DISCOVERY Fuel Injector Seal Ring O-Ring. LAND ROVER DISCOVERY II (1998-2004). Need help choosing the right part for your Land Rover Discovery?. LAND ROVER OEMs Always check the LAND ROVER OEM part number listed above to ensure the part will fit. BMW 3 E91 (2004-2012). BMW 3 Fuel Injector Seal Ring O-Ring. Always check the BMW OEM part number listed above to ensure the part will fit. Vehicles listed above may have variations which include country of origin, build month/year and driveline options. TOYOTA COROLLA 2 EL55 4WD (1994-1999). TOYOTA COROLLA Cylinder Head Spark Plug Guide. Need help choosing the right part for your Toyota Corolla?. Vehicles listed above may have variations which include country of origin, build month/year and driveline options.